Brevity is not the soul of my wit. And still, I am at a loss after yesterday's round: where should I direct the fount of my eloquence? The tournament is over, judging from sporting point of view. I take a pencil and strike Anand and Svidler out of the list of competitors for the title. There is only Topalov left, and the probability of his victory in the championship has finally reached 100 per cent. Nobody caught up with him or even approached him. One can start praising. However, I have two more issues on hand – last daily and final one. It seems more logical to observe the decencies and reserve the flourish for the ceremonial final, because games are still played, and arbiters demand silence in the hall. The games are played, and one could busy oneself with forecasts for the next round, but it looks unnatural in the absence of competitiveness. However, the new world champion will give a touch to his portrait on this final day. Veselin has a choice: after having fulfilled the main task, he can either remember that he had no victories in the second half and battle for fun with the woman that is 5.5 points behind him and gets no fun out of this tournament, or just behave as a real gentleman: devote a whole morning before the game to walking in the mountains in attempt to gather bunch of edelweiss or whatever grows there, present it to the woman, make several unimportant moves and agree to a draw; and spend the rest of the evening in pleasant talks with recent opponent, friends and fans. I am sure nobody is going to blame him for choosing the latter. Svidler and Anand also have a dilemma whether to play or not to play with obvious bias to the negative variant. It is written in the regulations that the prizes are divided in equal parts, so there is no use for them to work hard trying to find out who is the second one in the world, especially when Topalov appears in the distance with ironically raised eyebrows and glass of wine and beefsteak in hands, «Are they still playing? And what are they fighting for?» Maybe some person of two left pairs will also like to solve some local task, but I suspect that everyone has ran short of physical and moral strengths. After the splendor we have seen, scarcely anyone will take 8 pokes at the grandmasters for short draws in the round 14. At any rate, there is no one among my acquaintances who can do that. As far as I understand, such a person should be a complete protestant, if I understand the word correctly. Half of the penultimate round games were of no interest. A real play occurred only in two games. Official title transfer from its previous owner to the new one proceeded with varied success. 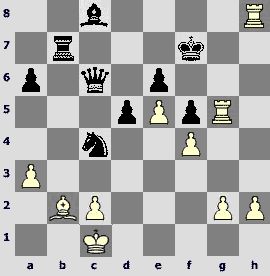 White pressured in the opening, as it has to happen in the Berlin. Black king returned to its starting position after making some moves in the opening, and as castling was impossible, one had to develop both rooks on the sides. It turned out to be symmetrical and decorated the board beautifully. In the endgame with opposite colored bishops without a pawn Topalov again revealed his phenomenal skills as a chance-seeker, found a possibility to sacrifice an exchange and got threatening position, proving that he understands the Berlin positions in his own way, but his results are not worse than Kramnik's. Shortly speaking, everything was very symbolic and finished with peace in the world. You can address Sergey Shipov in search of captivating details. The Anand-Morozevich draw is very nice – a light, bravura one. There is a small flavor of disappointment in the fact that this result has finally killed the tournament intrigue, but I am far from saying that I wished Alexander's defeat. Let us forget that chess is a severe kind of sport and admire the refined final. Vishy begins the standard attack, being too impatient to wait for a smile of fortune. It looks similar to the game except for the last move. And here it's mate. 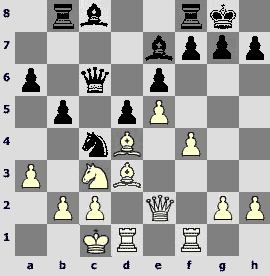 Sasha makes the most natural move that opens the path for the king and frees the 7th rank for the rook. 22...Ґc5 23.¦ff3. Let us study the second resource – 23.Јg6. In case of greedy and naïve 23...Ґxd4? 24.¦h7 there is no rescue, for example, 24...Ґe3+ 25.ўb1 ¤d2+ 26.ўa1 ¦f7 27.Јh5 ўf8 28.¦h8+ ўe7 29.Јg5+. After cautious 23...¦b7 thematic 24.¦h7 is answered by 24...Јe8 – the c5-bishop hangs, and White rook remains attacked after a queen trade. And in case of 24.Ґxc5 Јxc5 25.¦h7 Black can save himself with counter sacrifice 25...Јe3+ 26.ўb1 ¤xe5! 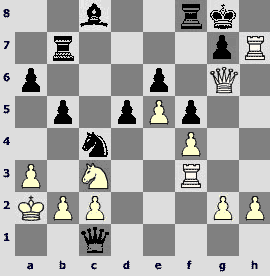 27.fxe5 (27.Јh5 ¤f7 28.¦f3 Јe1+ 29.ўa2 ¤h6 30.Јg6 ¦f6 is bad, and White loses the piece) 27...Јxe5 28.Јh5 g6! 29.Јxg6+ ¦g7. The position is unclear. 29.¤d1 ¤d2 30.¤c3 ¤c4. However, this attempt is connected with great risk, because Black does not worry opponent's piece group that stands near his king, and any preparatory move like 27.ўa2 can turn out to be fatal. 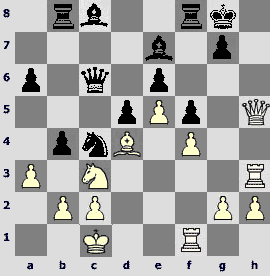 Anand resolved to choose a forced variation. 23...Ґxd4 24.¦fg3 ¦b7 25.Јh7+ ўf7 26.Јxg7+ ўe8. 27.Јxf8+. 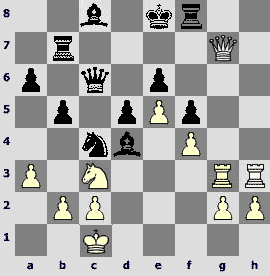 A draw by perpetual check after 27... ўxf8 28.¦h8+ ўf7 29.¦h7+, because in case of 29.¦hg8? ¤xe5 the mate is cancelled.